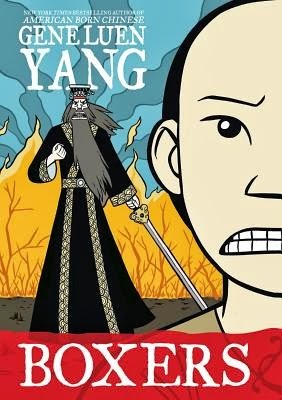 I didn’t quite know what to expect going into reading Gene Luen Yang’s newest graphic novels. I did know that they were a pair, and I read them back-to-back. But what I got…. wow. I think, after I turned the last page, the best comparison would be a Zhang Yimou movie. Both sweeping and intimate, these graphic novels pack a powerful punch. They center around the Boxer rebellion in China which culminated in the summer of 1900. In Boxers, we follow the story of Little Bao, a third son of a village peasant. He’s not respected, and his older brothers push him around a bit. He loves opera, and he spends all his free time watching it, which doesn’t help his situation at home any. He does long for respect, and gets his chance when a young man by the name of Red Lantern shows up. Red Lantern teaches the village men kung fu, and ends up taking Little Bao under his wing. This becomes crucial when Red Lantern is killed by the imperial army, and Little Bao takes over his duties as leader of the rebellion. Their mission? To enact justice in behalf of those who are being bullied. However, what starts out as justice soon becomes a crusade to rid the land of foreigners, mostly Christians, and those Chinese who have converted. Little Bao becomes increasingly more ensconced in this crusade, and increasingly more uncomfortable with it. Along the way, he meets Vibiana, a Christian convert. In Saints, we see Vibiana’s side of the story. We discover that her conversion to Christianity is more an act of desperation rather than true devotion. A fourth daughter of a deceased father, she is often neglected and beaten at home. She finds refuge in the home of Dr. Won, the village acupuncturist, who introduces her to Christianity. Soon afterward, she sees visions of Joan of Arc, which she doesn’t understand but finds comfort in. After one particularly brutal beating, Vibiana leaves her family and goes to work in a Christian orphanage, which is where she meets Little Bao. I shouldn’t have to say this, but these stories are both tragedies. And yet, possibly because of this, there is much to think about. I love the tagline on the backs of these: “Every war has two faces.” Yang does a superb job not only showing the horrors of war, or the decisions of a leader, but also that there are many different sides to a story, and that every truth is a valid one. The ending is tender and horrible, and left me wondering about the nature of faith, devotion, and fanaticism. 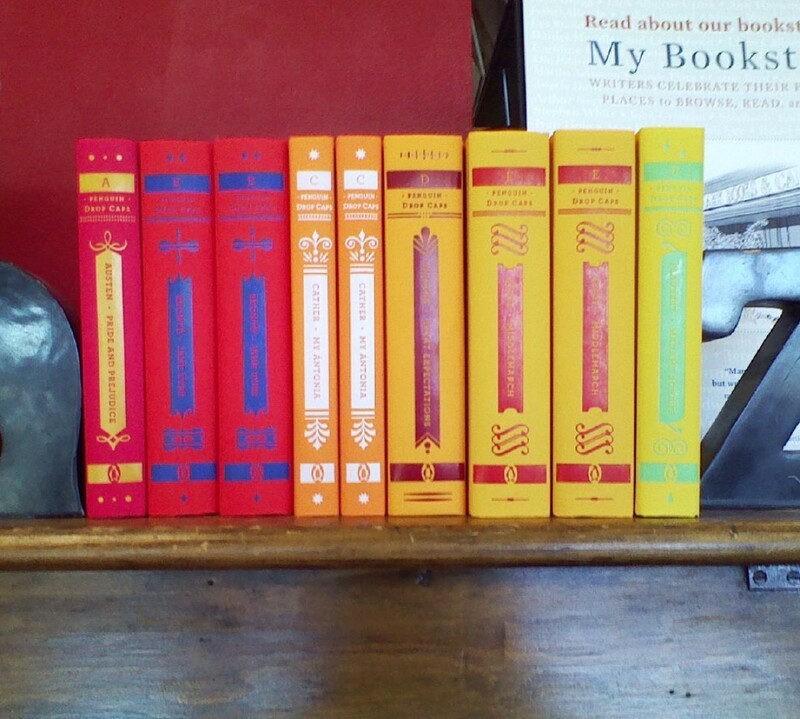 These have just arrived in the Library. Guess I know what I'm doing this weekend. Can't wait. Thanks. I really liked Boxers. I haven't had a chance to read Saints yet. Soon!